A key strength to the Zulu eLearning LMS is our record keeping capability. 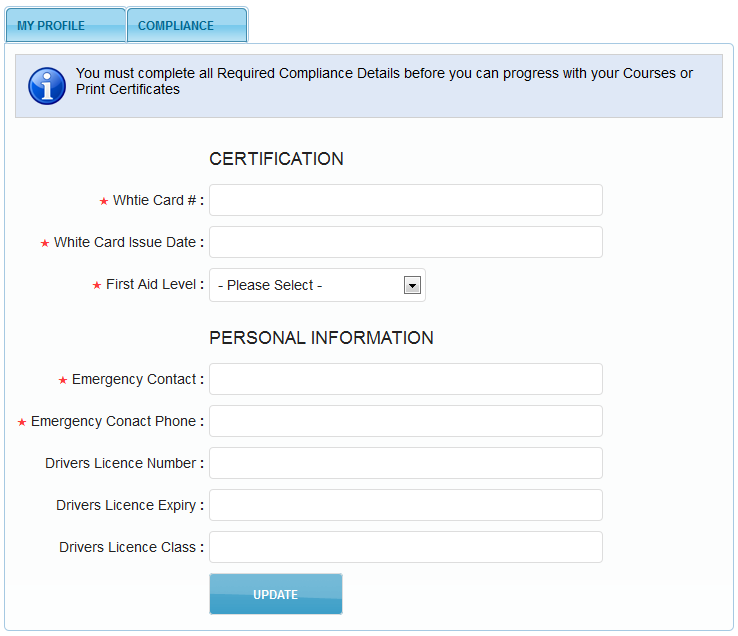 Zulu eLearning is used by many organisations for their contractor and staff straining requirements. With our enhanced compliance capabilities you can assign field requirements for each type of contractor (or staff member). That means record keeping for items such as insurance certificates, driver’s license number, emergency contact information, medical information or whatever is necessary to keep your workplace safe and your contractors and staff even safer. You have the ability to creat a unique set of compliance fields for each different department (or user group) based on user registration.